The Curtis Cup Match is contested every two years by teams of female amateurs representing the United States and Great Britain & Ireland (England, Scotland, Wales, Northern Ireland, Ireland). The sanctioning bodies are the United States Golf Association and Ladies Golf Union, and those organizations select the respective teams. Each team consists of eight golfers. The Curtis Cup was first played in 1932, and is named after sisters Harriot and Margaret Curtis, who combined for four victories in the U.S. Women's Amateur. The Curtis sisters donated the trophy for the competition. The U.S. leads the series, 29-8-3. Beginning in 2008, the Curtis Cup assumed a Ryder Cup-style format, with foursomes, four-balls and singles play. Day 1 and Day 2 feature three foursomes and three four-balls each day, with eight singles matches concluding play on Day 3. 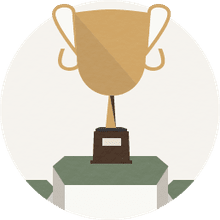 One point is awarded the side of the winning golfer in each match; if matches are tied at the conclusion of 18 holes, each golfer earns a half-point for her team. If the Curtis Cup Match itself concludes in a tie, the team that held the cup entering the competition retains it. 18 - Carol Semple Thompson, U.S.
11 - Anna Quast Sander, U.S.
10 - Phyllis Preuss, U.S.
2022: June 10-12, Merion Golf Club, Ardmore, Pa.
Who Is the Curtis Cup Named After? The Curtis Cup is named after the Curtis sisters, Harriot and Margaret. The official name of the trophy awarded to the winning team is "The Women's International Cup," but everyone knows it as the Curtis Cup. Harriot Curtis and Margaret Curtis were two of the best women golfers in the early days of organized women's tournament play in the United States. Harriot won the 1906 U.S. Women's Amateur Championship. In the finals of the 1907 Women's Am, Margaret defeated Harriot, then Margaret won again in 1911-12. In 1927, hoping to spur the USGA and Ladies Golf Union (LGU) to establish such a USA vs. Great Britain & Ireland competition for amateur women golfers, Harriot and Margaret commissioned the creation of a trophy, a silver cup. That trophy is today what we call the Curtis Cup. It was another five years before the trophy was awarded, however, first presented at the inaugural Curtis Cup Match in 1932. Margaret died in 1965 and Harriot in 1974. The Curtis Cup Match has been played twice at the Curtis sisters' club, Essex County Club in Manchester, Mass., 1938 and 2010. Several false starts at a Curtis Cup-style competition were made, dating to 1905, before Glenna Collett Vare started championing the idea in 1930. The USGA and LGU agreed in 1931 to regular matches, and the first was played in 1932. The Curtis Cup Match was originally envisioned to include nations from around the world, but financial issues limited the competition to the American and GB&I teams in the early going, and it has remained just those two teams ever since. The U.S. won that first match in 1932, 5.5 to 3.5. But the highlight was a victory for the GB&I side. Joyce Wethered and American Glenna Collett Vare - the greatest female golfers of their time - met only three times in competitive match play. The first Curtis Cup was one of them, and Wethered won easily, 6-and-4. The GB&I team's first win in the series was in 1952, the seventh Curtis Cup Match played. One mother-and-daughter pair has competed in Curtis Cup play: Jane Bastanchury Booth and her daughter Kellee Booth. Jane played in 1970, 1972 and 1974, and Kellee in 1996 and 1998. And both are among the 10 players who have posted 4-0-0 records in a single Curtis Cup. Others who have posted 4-0-0 marks in a single Curtis Cup include Trish Johnson for GB&I in 1986; Juli Inkster for the U.S. in 1982; Patty Sheehan for the U.S. in 1980; and Beth Daniel for the U.S. in 1976. The largest winning margin for the U.S. is 11 points (14.5 to 3.5) in 1982, an American team that boasted Juli Inkster, Kathy Baker and Amy Benz. The largest winning margin for GB&I is 8 points (13 to 5) in 1986, a team led by Trish Johnson's 4-0-0 performance. 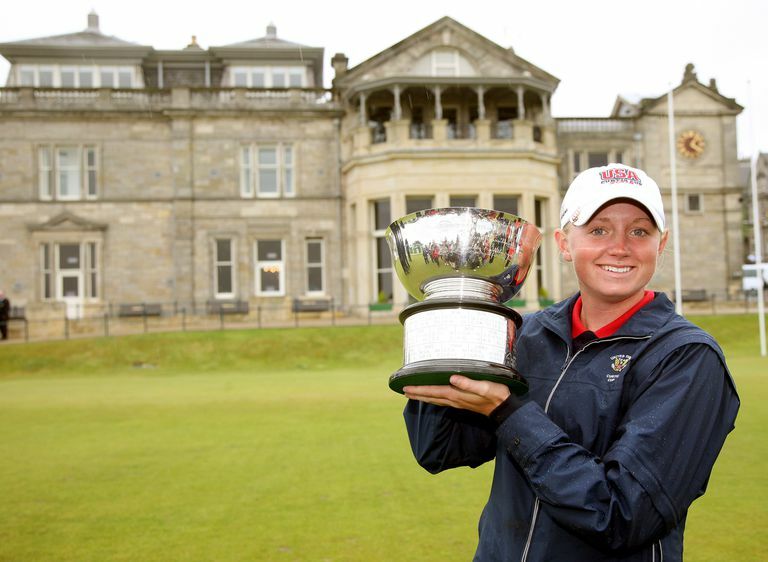 The 2008 match was the first one to feature five sessions of play, and Stacy Lewis was the first player to earn five points in one Cup, going 5-0-0 for the U.S. Bronte Law became the second golfer to do so, and the first for Team GB&I, at the 2016 Cup. The official name of the trophy awarded to the winning team is "The Women's International Cup."